Magnetic assemblies are components made from permanent magnets and steel parts (and/or some non-ferrite magnetic insulate materials, such as Brass and Aluminum) fixed or bonded together. Thanks to the magnetic field design, a magnetic assembly has a particular magnetic circuit that can concentrate or insulate magnetic power at a target space around the magnetic assembly. In this way, magnetic assemblies can be utilized for holding, retrieving, moving, lifting and mounting steel parts in different industrial applications. Different Holding Magnets, such as square, disc and ring holding magnets, hard Ferrite (ceramic), AlNiCo, NdFeB and SmCo assemblies are specified for many applications to all industries and engineering. 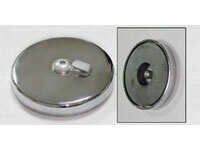 These magnets are made by setting ferrite, AlNiCo, NdFeB and SmCo magnet in steel parts (and/or some non-ferrite magnetic insulate materials, such as Brass and Aluminum), and are available in many different forms and shapes, which are finished in white, black, gray, nickel or zinc coating, or rubber covered. A holding magnet has a particular magnetic circuit that can concentrate or insulate magnetic power at a target space around the magnetic assembly. Other size is available according to your request. 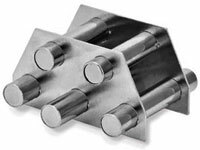 Magnetic catchers are the common and popular magnetic assemblies. 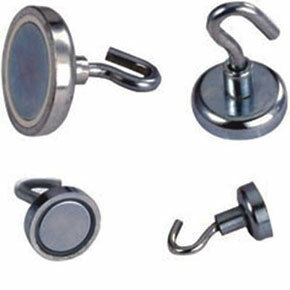 These magnets are available in many different forms and shapes according to customer's requirements. 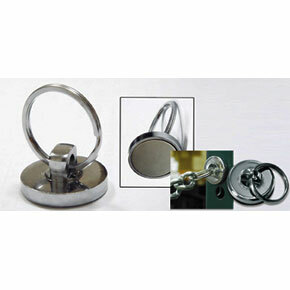 Generally such as square, disc and Ring holder magnets. Aside from a pot magnet with plastic cup in different color, Magnetic Holders are made by setting magnet in steel or Brass and AL parts. Because metal part are prone to corrosion in humid environment. It usually need surface treatment: Zinc, Nickel, Coated, Painted,r ubber etc. Holding magnet has a particular magnetic circuit that can concentrate or insulate magnetic power at a target space around the magnetic assembly. 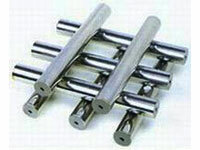 They are widely used in many applications to all industries, engineering and daily life. Magnetic Filter is designed to get rid off iron/steel substances in liquor, then be used in various fields such as chemical industry, foodstuff industry, medicament, feedstuff industry and so on. It is constructed from magnetic filter bar, stainless steel and have a satin finish, then fixed into a framework. The magnetic filter bar is made of permanent magnets and stainless tubes with special magnetic circuit. When liquor containing iron/steel substances passes through the framework, the iron/steel substances will attach themselves onto the wall of the filter bars/magnetic cartridges. As a result, your equipment and facilities will be safe and sound, and your productions will be safe for consumption. The normal diameter of magnetic filter bar is available from 20mm to 40mm.And it's magnetic flux can reach 12000Gs.But size and length of the magnetic filter bar, and shape of the framework will vary at client' requests. 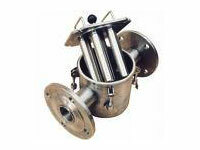 Application: Magnetic Filter may apply in medicines, sanitation, textile, machinery and food stuffs, etc. 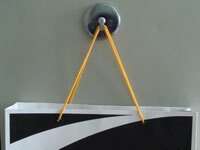 Magnetic hooks are made of stainless steel and neodymium magnets. We provide some fixed designs or we make the products accord with customers' blueprints. 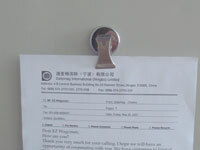 If you want to make such magnets, please contact us. We will help you to give you the goods you want.